Playing host to every type of travelers from foreign dignitaries to fashionistas to New Age nomads San Francisco offers hotels as diverse as those of any city in the world. For romantic getaways, there are Victorian boutique hotels such as Petite Auberge and the Queen Anne Hotel. For the eco conscious, there are certified green hotels such as The Orchard Hotel. There are clean, comfortable budget hotels such as Edwardian San Francisco Hotel and Super 8 Fisherman s Wharf and of course, some of the world s finest luxury hotels from Le Meridien to InterContinental San Francisco to The Warwick for business or leisure travelers with expense accounts and lavish tastes. Along with proximity to the vast array of attractions within the city, San Francisco hotel deals also offer easy access to the seaside towns of Marin County, bustling Silicon Valley and dozens of popular destinations throughout Wine Country. Book a hotel with InterContinental Hotels best rates guaranteed. Guests receuve the royal treatment at The Marker San Francisco a hip upscale Union Square property with luxury bedding free wine hours and complimentary bike rentals all two blocks from the cable cars. The seven-story Marker San Francisco is housed in a 1910 Beaux Arts building that's been restored to its original glory evidenced by the grand staircase in the fanciful lobby the domed ceiling and the floor-to-ceiling inglenook fireplace. Retire to your room all 120 of which are done up in lively stripes and prints and colorful fabrics. Sleek desks Asian-inspired end tables and cushy beds with pillowtop mattresses grace the rooms. There's also an honor bar stocked with gourmet and organic snacks. Long distance and local calls are complimentary. 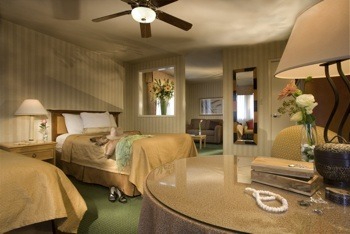 Added amenities include iHome systems and premium cable TVs and Wi-Fi is available for an extra fee. Yoga and wellness kits can be delivered to your room on request free of charge and the hotel welcomes pets. There is a fitness center and a concierge and in-room spa services can be booked for an extra charge. Stop the nightly wine reception for a complimentary glass and borrow a free bike to tour the city sights. Valet parking is available for a fee. The Marker is downtown two blocks east of bustling Union Square and its galleries boutiques and concerts in the central plaza. Walk three blocks to hop on the iconic Powell Street cable cars for the trip to Fisherman's Wharf. Ocean Beach is within seven miles and AT&T Park home of the Giants is a two-mile jaunt. The BART is five blocks south and San Francisco International Airport is 14 miles away. our guests rave about the impeccable service central-to-everything location and exceptional food at historic-yet-modern The Marker San Francisco. At the crossroads of the Financial District North Beach and legendary Chinatown the Hilton San Francisco Financial District wows our guests with its perfect location and fabulous views. The 27-story hotel catches the eye with its showstopper entrance and inside state-of-the-art amenities await our guests. Each of the 543 rooms feature down duvets and pillows and have flat-panel TVs Wi-Fi (for a fee) and mp3-compatible radios. Bathrooms have granite countertops and deluxe bath products. Guests enjoy the stunning views of Coit Tower and other landmarks. After a busy day visit the 24-hour fitness center or make an appointment at the day spa. The hotel has two restaurants a lounge bar and a lobby coffee bar. Bring your favorite four-legged friend since the hotel is pet-friendly. Shuttle service and parking are available for a fee. Colorful vibrant Chinatown just across Portsmouth Square Plaza from the Hilton San Francisco is the largest Chinatown outside of Asia. The Financial District is located in the hotel's backyard with most major financial institutions two to nine blocks away. Around the corner sits North Beach San Francisco's answer to Little Italy. It's 15 miles from San Francisco International Airport and 25 miles from Oakland International Airport. our guests are impressed by the Hilton San Francisco Financial District's "helpful" staff its "wonderful location" "near Chinatown North Beach the Financial District and Union Square" and its "excellent" "comfy rooms." A downtown location in-room yoga perks and a rockin' rooftop lounge bring panache to the classic Kimpton Sir Francis Drake Hotel. The 21-story Sir Francis Drake houses 416 rooms mixing Victorian charm with contemporary pluses like flat-panel TVs and iPod docks. Wi-Fi is available for an additional charge. Stay Zen with an in-room spa service or available yoga accessories. Try the hotel's fitness room and get work done in the business center both open 24/7. The hotel is home to a top-floor nightclub with stunning city views as well as a Prohibition-style speakeasy lounge and a restaurant. Pets are allowed and valet parking is available for an extra charge. The Sir Francis Drake is a half-block from Union Square in the heart of San Francisco and three blocks from Chinatown's Dragon's Gate. Catch a cable car right outside and continue on to Ghirardelli Square or Fisherman's Wharf 20 minutes north. A 15-minute stroll leads to the San Francisco Museum of Modern Art as well as the Moscone Center and the Children's Creativity Museum. San Francisco International Airport is 14 miles south. The beautiful decor and great central San Francisco setting are perfect according to our guests staying at the Kimpton Sir Francis Drake Hotel. A free airport shuttle complimentary Wi-Fi and a popular on-site restaurant keep our guests coming back to the Holiday Inn San Francisco International Airport. Adjacent to the award-winning South San Francisco Conference Center right off Highway 101 the hotel boasts 224 non-smoking rooms on five floors each with sleek modern furniture mini-fridges and 37-inch flat-panel TVs. Guests praise the comfy beds while double-glazed windows ensure a peaceful night's sleep. The airy atrium and lobby welcome travelers with sparkling marble floors and an oversize fireplace. 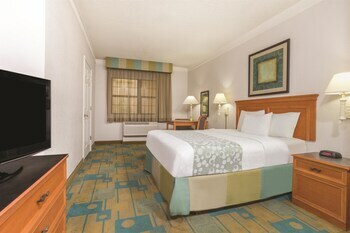 The hotel also offers free Wi-Fi a business center and a 24-hour fitness room. Kids eat free at the on-site restaurant and the bar's a perfect place to grab a pint and watch the game on one of nine hi-def screens. Parking is available for an extra fee. No need to drive in circles: Parking is available at an affordable daily rate and downtown San Francisco's most famous attractions are a train ride away. The shuttle wins points with business travelers; it gets you to the airport and BART (Bay Area Rapid Transit)station in five minutes. Whether you're traveling for business or pleasure the Holiday Inn San Francisco International Airport offers proximity to the airport and public transportation plus an on-site restaurant—all the ingredients to make your holiday a breeze. The beautifully renovated Pier 2620 Hotel Fisherman's Wharf is quite a catch for our guests thanks to its attractive location relaxing on-site restaurant and lounge and up-to-date fitness room. The hotel was treated to a top-to-bottom facelift in 2013 that gave the 233 non-smoking rooms and suites plenty of extra space for overstuffed armchairs flat-panel TVs iPod docking stations well-lit desks with ergonomic chairs coffeemakers and Wi-Fi access. Burn a few calories in the 24-hour fitness room stocked with the latest generation of equipment. Enjoy a breakfast buffet in the dining room grab a quick bite from the on-site market or wind down after a day of exploring with a drink and nibbles in the lounge. Laundry service is among the thoughtful extras and parking is available for a nightly fee. The h0 Hotel has a hard-to-beat location near the waterfront minutes from Fisherman's Wharf and Ghirardelli Square. Attractions like the Golden Gate Bridge are within easy walking distance and it's less than two blocks from the city's famous cable cars which whisk you to Union Square the Embarcadero Chinatown and Little Italy. The property is 16 miles north of San Francisco International Airport. The "great" Pier 2620 Hotel Fisherman's Wharf's "awesome" location "friendly and very accommodating" staff and "comfortable" rooms get raves from our guests. Located 5 minutes' walk away from the shops and restaurants of Fisherman's Wharf The Wharf Inn offers guest rooms with free WiFi. Guests at this completely non-smoking motel can enjoy starting the morning with a free cup of coffee and a newspaper. Free guest parking is available on site.A 40-inch LCD TV with premium channels is provided in each room at The Wharf Inn. Each private bathroom includes a hairdryer.The Wharf Inn offers a 24-hour reception. Guests are also offered access to a 24-hour fitness centre which is located 2 minutes' walk away at Northpoint Center for a small fee.Offering cruises to Alcatraz Island Pier 33 is less than 1 km away from this motel. The iconic Golden Gate Bridge is 6.4 km away. San Francisco's North Beach neighbourhood is 7 minutes' walk away from The Wharf Inn. 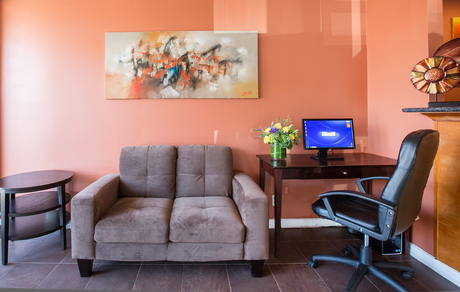 Free breakfast and Wi-Fi are some of the perks that make the Best Western Plus Grosvenor Airport Hotel one of the most popular among our guests in South San Francisco. The nine-story hotel has 206 non-smoking rooms with cable TVs free Wi-Fi and coffeemakers. Enjoy the free breakfast buffet and then hop into the outdoor heated pool open seasonally or take advantage of the fitness center. There is an on-site restaurant and room service available for added convenience. Parking is available for an additional fee. The hotel is two miles from the San Francisco International Airport. From the airport there is easy public transportation access that will take you into downtown San Francisco in about 20 minutes. Sports fans note that Candlestick Park home to the 49ers is five miles away and the Giants' AT&T Park is 10 miles away. The Moscone Convention Center is reachable by car in less than half an hour as is Silicon Valley and there is parking at the hotel (for a fee). When you find a comfortable room in a convenient location like the Best Western Plus Grosvener Hotel don't get into a scrape over pricing. The Negotiator has gone nine rounds to TKO this rate into submission. A skylit indoor pool on-site dining and a location next to public transportation in downtown San Francisco wow our guests at the non-smoking Palace Hotel a Luxury Collection Hotel San Francisco. The eight-floor Palace Hotel is housed in a landmark 1909 Beaux Arts building. The 553 non-smoking rooms feature traditional mahogany furnishings flat-panel TVs Wi-Fi (for a fee) and plush beds. Few places are more inviting for a swim than the skylit indoor pool. The legendary Garden Court restaurant features a famous Sunday brunch underneath an 80000-panel stained-glass dome. The hotel also has valet parking (for a fee) a fitness room a Japanese restaurant and a bar. One dog per room is allowed for a fee. The Palace Hotel is downtown next to the Montgomery Street BART station across from the Market Street trolley and four blocks northeast of Powell Street cable cars. Union Square is three blocks away. Japantown is less than two miles west and Fisherman's Wharf is less than two miles north. Walk to the Ferry Building less than a mile away. The hotel is 14 miles north of San Francisco International Airport and 20 miles northwest of Oakland International Airport. A stay at the Palace Hotel a Luxury Collection Hotel San Francisco is "like traveling back in time to a more romantic era" thanks to lavish rooms a skylit pool and a "magnificent" restaurant in the atrium. Free breakfast free Wi-Fi and a free airport shuttle are the features that make our guests happy at The La Quinta Inn San Francisco Airport North. The pet-friendly hotel has 170 rooms over four stories. All guests get a free breakfast including waffles and all-you-can-drink juices and coffee. Work up a sweat in the hotel's fitness room then take a dip in the heated outdoor pool or hot tub. The hotel has guest-use laundry facilities and free hotel-wide Wi-Fi. There is an on-site restaurant and lounge and room service available from area restaurants. 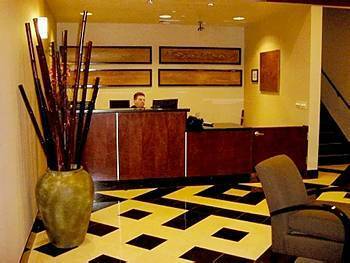 The La Quinta Inn is located in South San Francisco about 10 minutes from the San Francisco International Airport. The free airport shuttle also takes you to the BART (Bay Area Rapid Transit) rail station where you can hop the subway and get downtown in about 30 minutes and visit Union Square a San Francisco must-see or head towards Fisherman's Wharf for shopping and seaside dining. South San Francisco Conference Center is just a five-minute drive away and you might be able to catch a 49ers' game at Candlestick Park just 10 minutes away by car. After a day out and about park your car for free at the hotel. 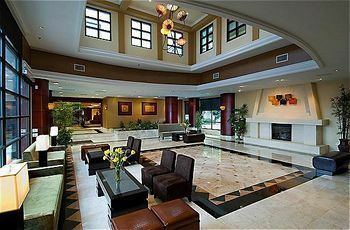 Easily accessible to the airport and a bargain to boot check out the La Quinta Inn San Francisco Airport North for your San Francisco trip.